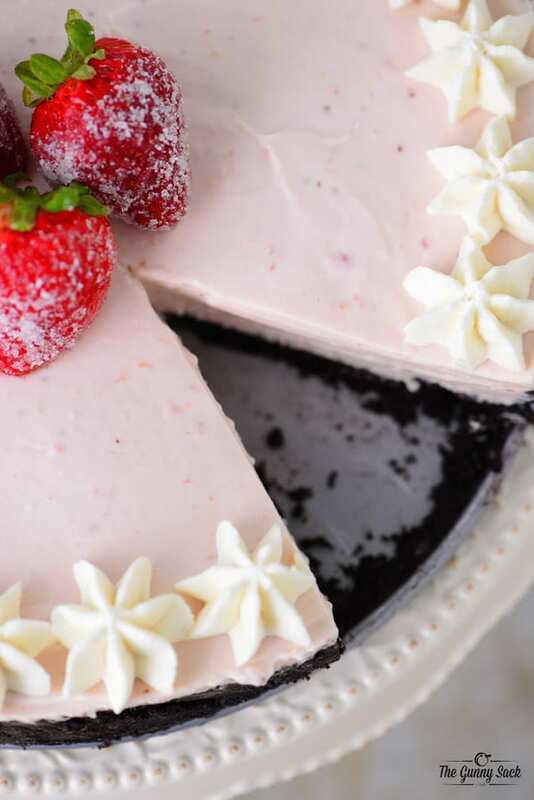 This no bake strawberry cheesecake recipe is cool and creamy!! 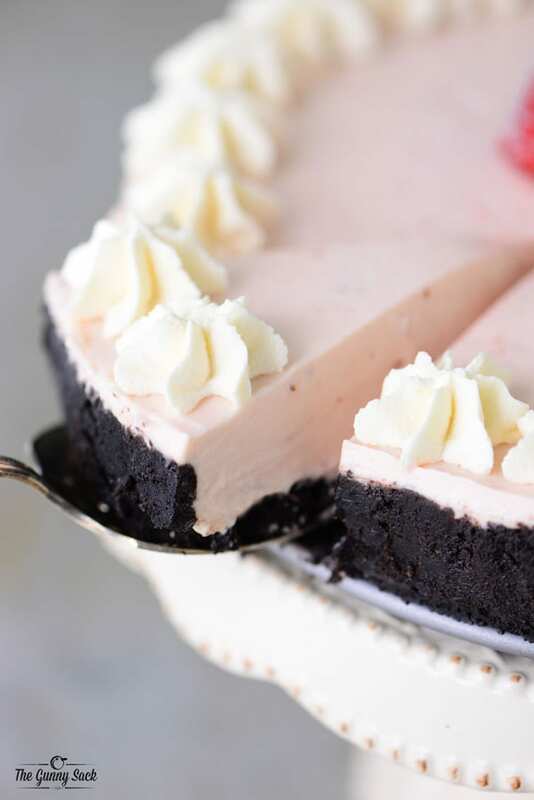 The chocolate wafer cookie crust is the perfect compliment to the easy strawberry cheesecake. It’s the middle of summer and it’s 95° out, when a friend invites you over for a dinner party and asks you to bring dessert, what do you bring? You certainly don’t want to turn the oven on and you don’t want to buy a dessert either, so an easy no-bake dessert is the way to go! 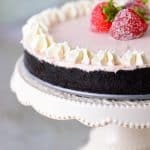 This no bake strawberry cheesecake has smooth, creamy, strawberry cheesecake that is perfect with the chocolate wafer cookie crust. It comes together quickly without having to turn the oven on! This recipe calls for two and half cups of chocolate cookie crumbs. I used Nabisco Famous Chocolate Wafers. 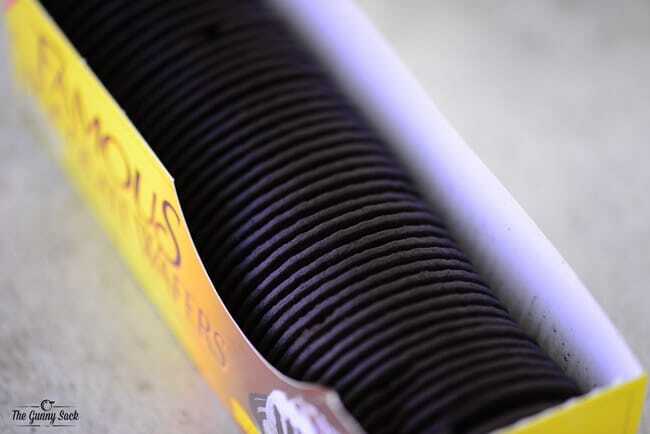 You could substitute chocolate graham crackers or use Oreo chocolate sandwich cookies with the cream scraped off. Mix melted butter and granulated sugar into the chocolate cookie crumbs. Press the mixture into the bottom and about 3/4 inch up the sides of a 9-inch springform pan. A small measuring cup can be a big help when trying to form the crust. You will need one cup of strawberry sauce for this recipe. 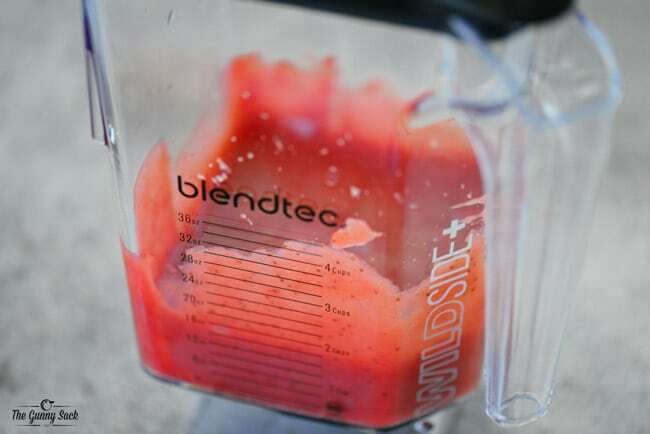 I used my strawberry sauce recipe and blended it smooth in my BlendTec. You could substitute strawberry pie filling for the homemade strawberry sauce. Beat the softened cream cheese for two minutes. Add the powdered sugar and vanilla and mix until smooth. Fold in the whipped cream or non-dairy whipped topping. Gently stir in the strawberry sauce until just combined. Spread the strawberry cheesecake mixture over the crust and refrigerate for at least one hour, or overnight. 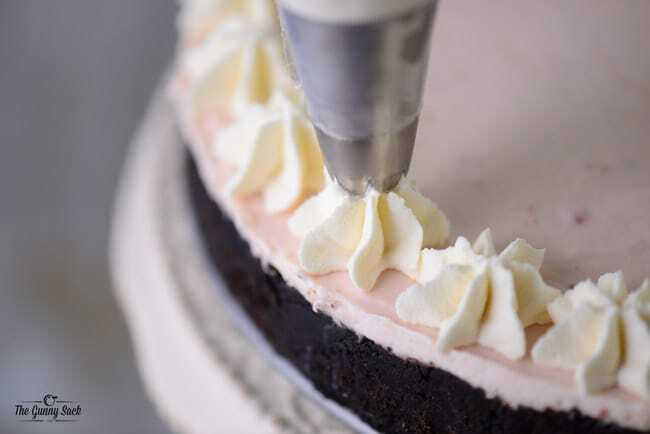 Before serving remove the sides of the springform pan and pipe whipped cream stars around the cheesecake. I used an Ateco #846 closed star tip. 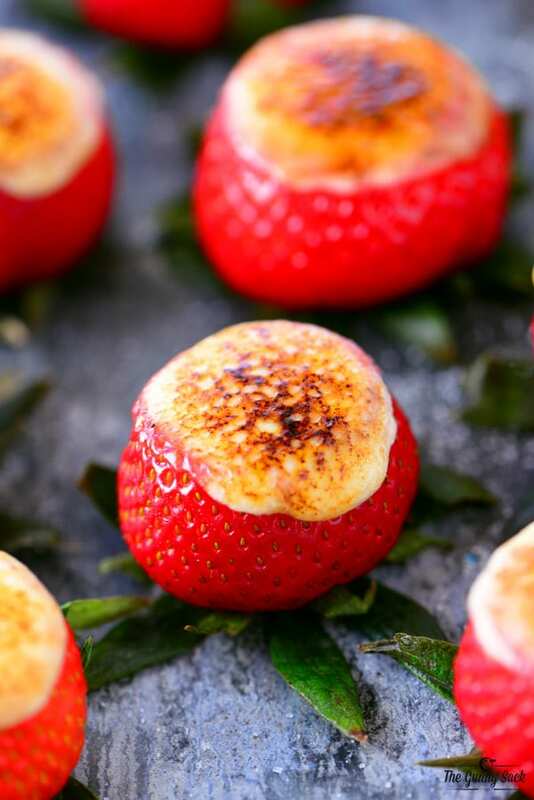 Top the strawberry cheesecake with a few strawberries rolled in granulated sugar. 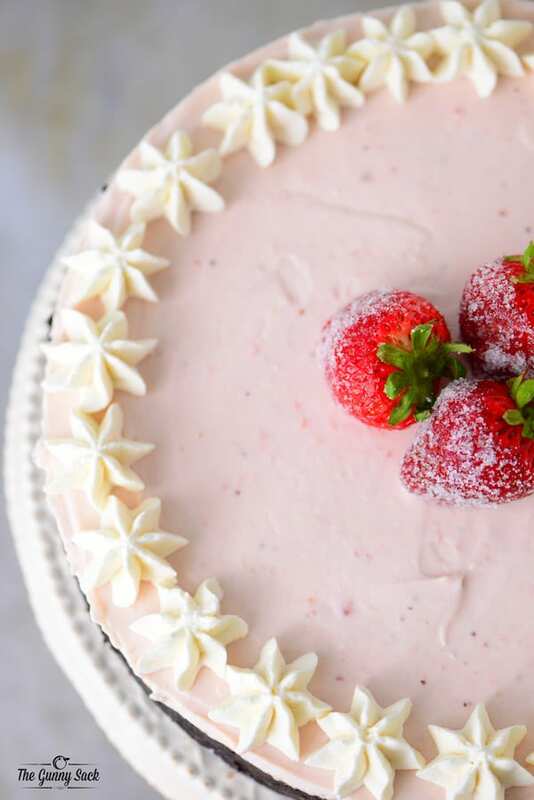 I’ve already shared this easy no bake strawberry cheesecake several times this summer and every enjoyed it. 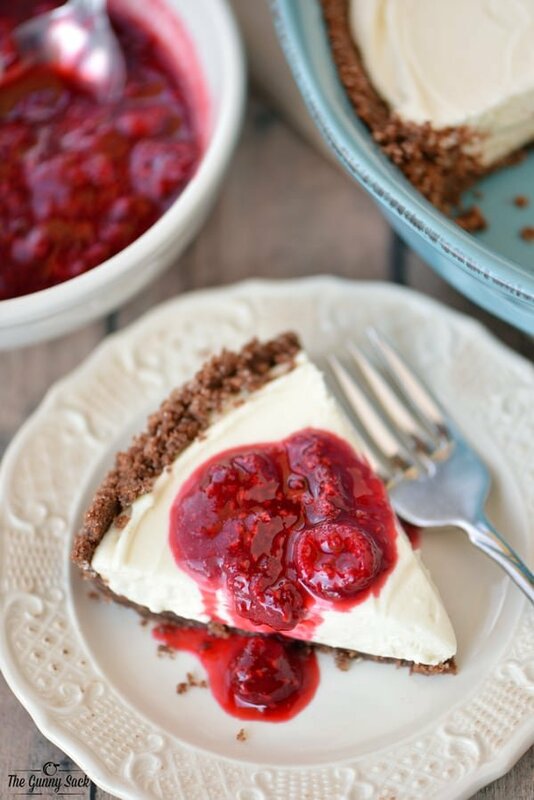 This no bake strawberry cheesecake is cool, creamy, and perfect for summer! 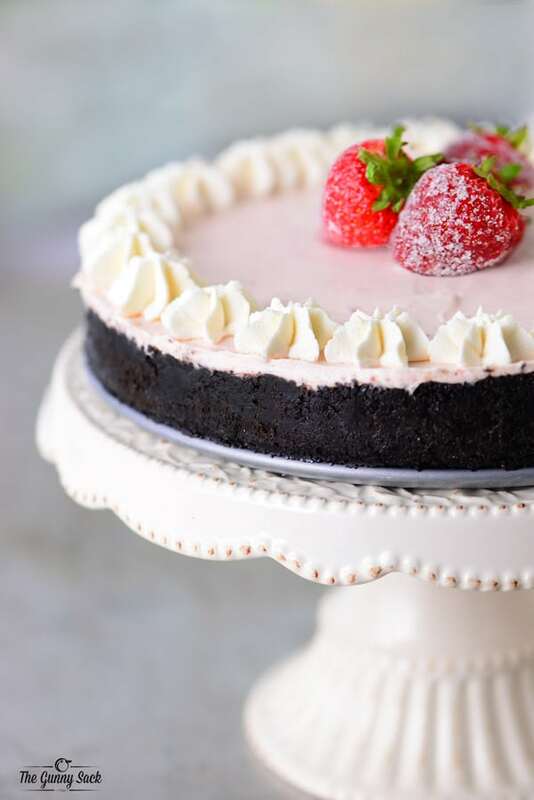 The chocolate crust is the perfect compliment to the strawberry cheesecake. Mix together chocolate wafer cookie crumbs, melted butter and granulated sugar. 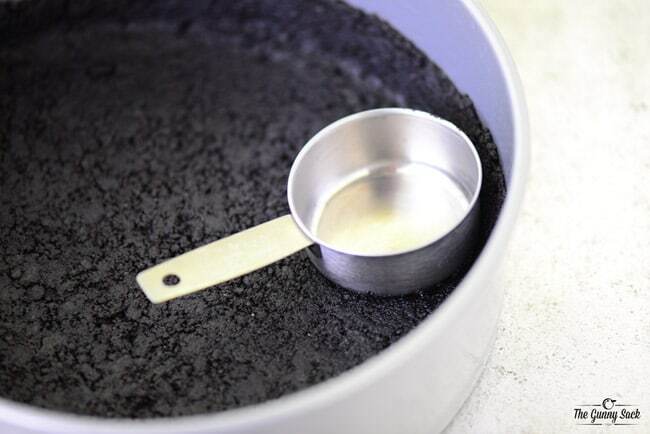 Press the mixture into the bottom and about 3/4 inch up the sides of a 9-inch springform pan. A small measuring cup can be a big help when trying to form the crust. Set aside. Beat the softened cream cheese for two minutes. Add the powdered sugar and vanilla and mix until smooth. Fold in two cups the whipped cream or non-dairy whipped topping. Gently stir in the pureed strawberry sauce until just combined. 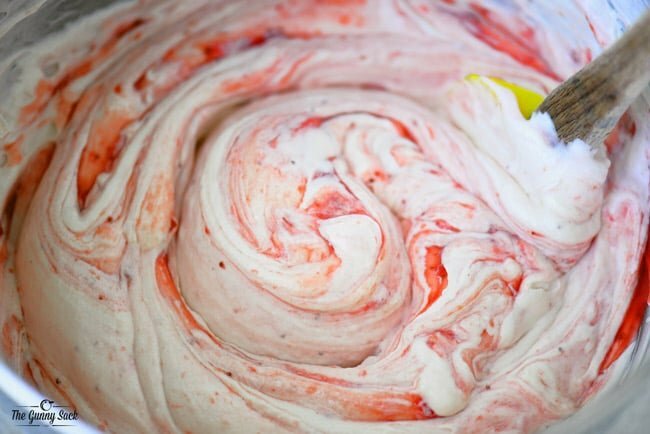 Spread the strawberry cheesecake mixture over the crust and refrigerate for at least one hour, or overnight. Before serving remove the sides of the springform pan and use the remaining whipped cream to pipe whipped cream stars around the cheesecake. 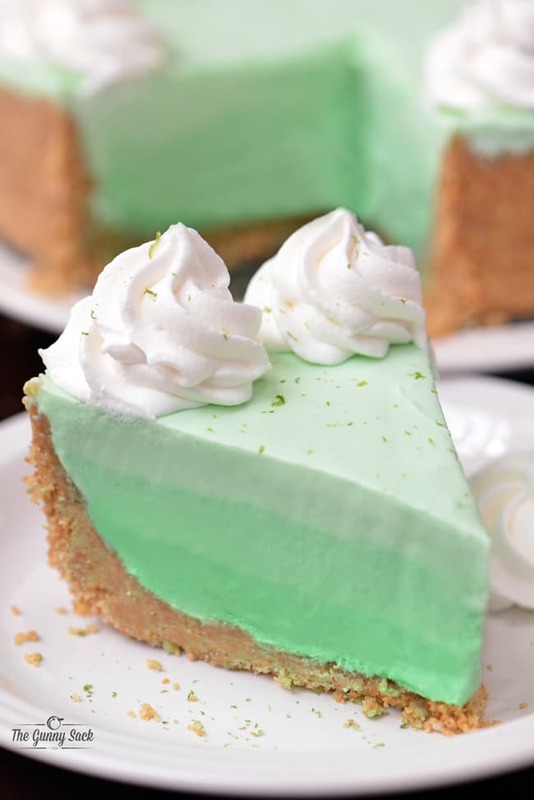 What a perfect summer dessert! I love strawberry cheesecake!